Inspired by the forgotten heroes in American history, this stunning collection captures the spirit of their amazing courage in sight and sound. 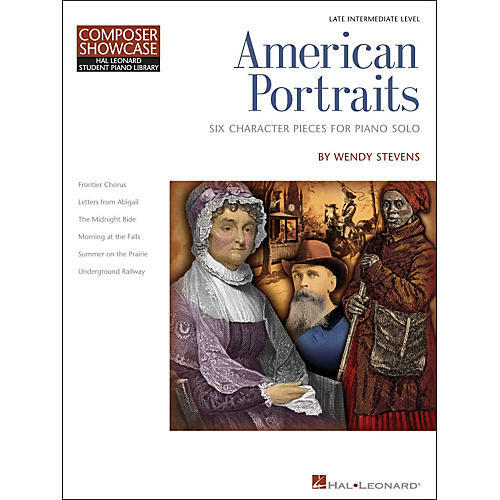 Before each character piece is a beautiful portrait along with intriguing historical background sure to inspire the intermediate-level pianist. Pieces include: Letters from Abigail ? Frontier Chorus ? The Midnight Ride ? Morning at the Falls ? Summer on the Prairie ? Underground Railway.